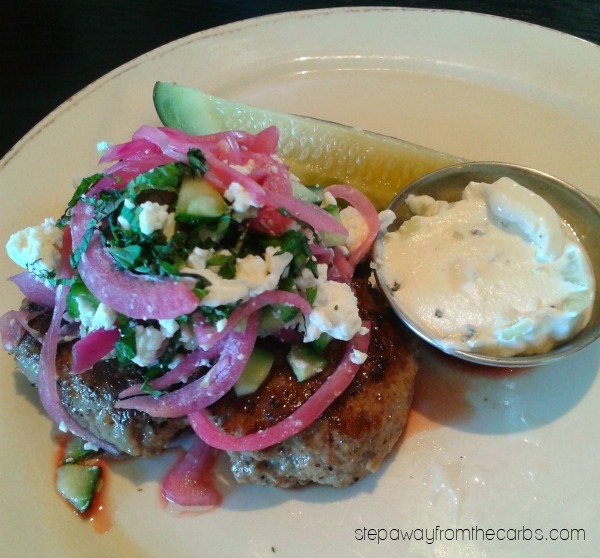 This delicious Greek lamb burger is loaded with feta, cucumber, mint and marinated red onions! I was inspired to make this burger after a recent trip to a brewery bar/restaurant that just opened near us. We seem to eat a lot more lamb in the UK than in the US – so after six years of being here I rather miss it. And when I saw lamb burger on the menu – I just had to have it because I just don’t remember seeing it before! It came perfectly cooked, topped with feta, cucumber, mint and red onions. I just knew I had to recreate this at home! The first step was the marinated red onions – see my separate recipe for them HERE. 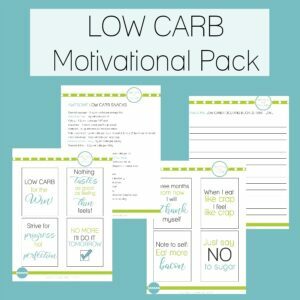 They can be used in so many ways – they are definitely worth making! Next, the lamb burger. 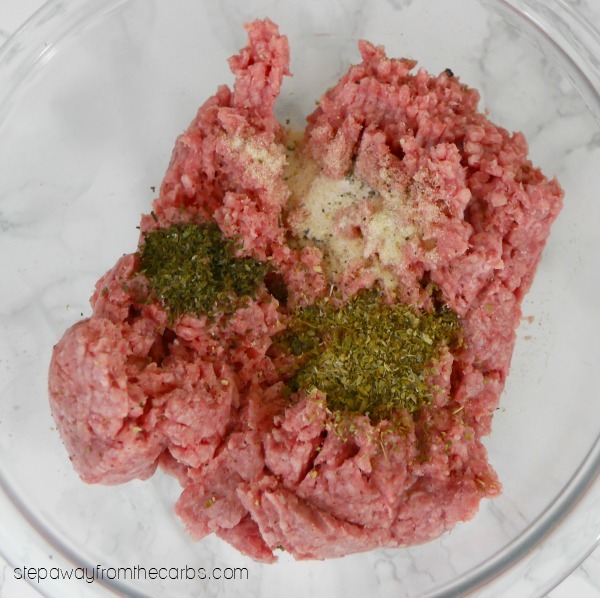 Mix together ground lamb, onion powder, dried oregano, dried mint and black pepper. Form the mixture into patties, and sprinkle them with salt. 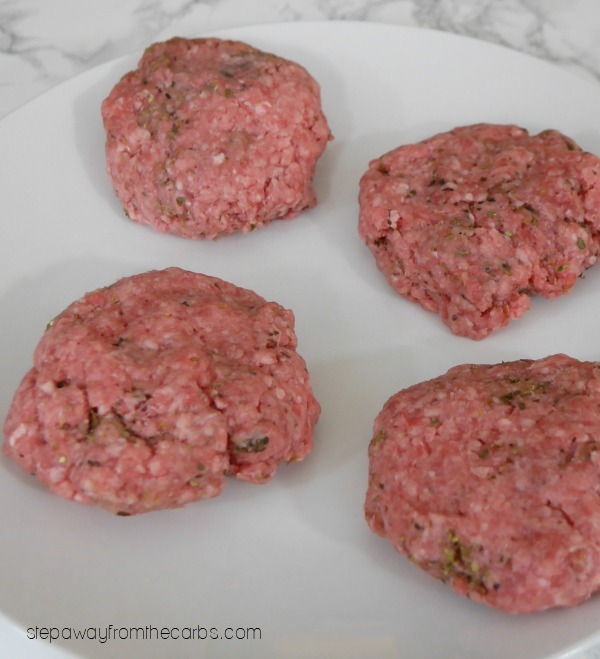 Cook the burgers to your liking – I like them cooked to medium with only a tiny bit of pink left in the center. It’s still too cold where I live for grilling right now (although these would be AWESOME on the grill) so I cooked them on a grill pan instead. 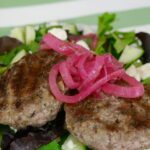 Serve the lamb burgers topped with crumbled feta cheese, diced cucumber, fresh mint and of course a spoonful of those red onions. 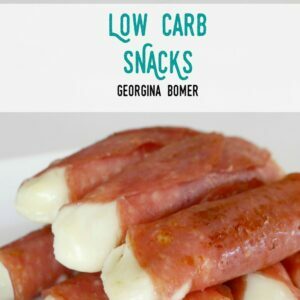 The combination of all these flavors and textures is really fantastic! 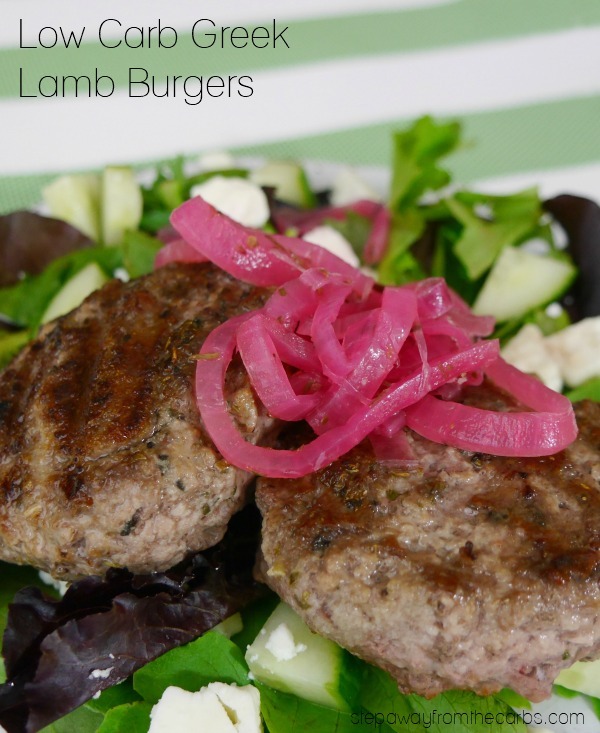 Try loading up these Greek Lamb Burgers with cucumber, mint, feta and marinated red onions! 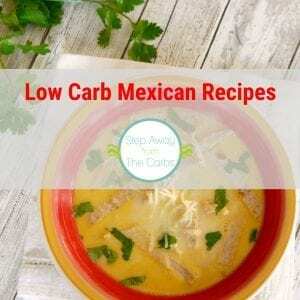 Mix all the ingredients together apart from the salt. Form the mixture into four patties and season with salt on both sides. Grill or fry until cooked to personal preference. 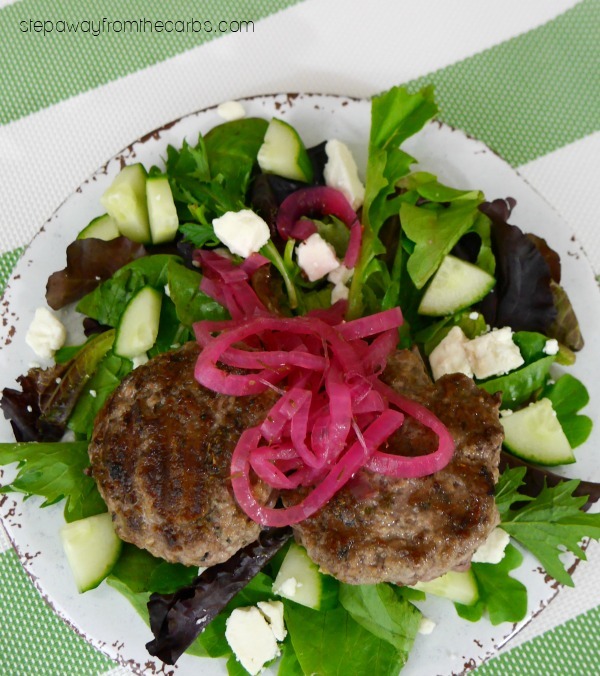 Optional - load up the burger with crumbled feta cheese, diced cucumber, fresh mint leaves and marinated red onions. 1g net carbs per serving of two burgers. Toppings are extra.